Glory RBU-11 Cash Recycler - Technology Unlimited, Inc.Technology Unlimited, Inc.
Technology Unlimited is proud to bring the industry’s leading currency recycler, the Glory RBU-11, to our clients in the western United States. With over 110,000 units deployed, Glory has installed more currency recyclers than all other competitors combined. And all that experience has led to the current sixth generation of the Glory RBU-11: a rock-solid performer with more capacity than other units, true escrow, and currency stackers which facilitate better feeding and make monthly audits a breeze. The GLORY RBU-11 currency recycling machine enables banks and other financial institutions to efficiently and automatically recycle the currencies at the cashier desk. 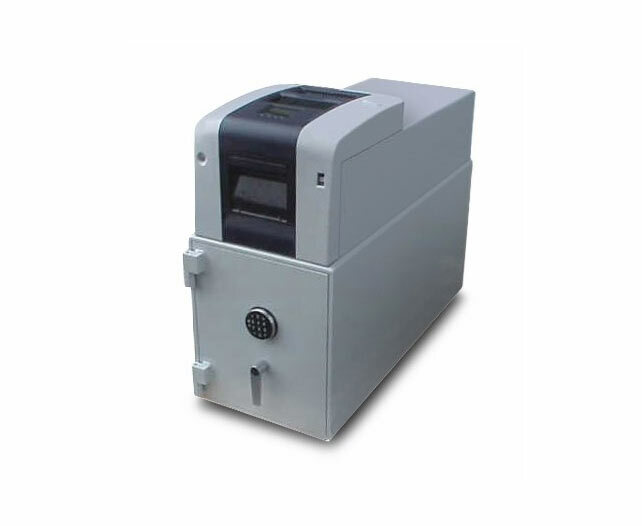 The RBU-11 automates deposits, withdrawals and change transactions while simultaneously providing effective counterfeit detection, based on an advanced detector package. It is controlled via the cashier terminal or a freestanding PC. Tedious machine replenishment and emptying is minimized due to the internal currency recycling system where deposited notes are immediately available for withdrawals. Increases efficiency by allowing the use of deposited currency for withdrawals. Our recycling system also minimizes jams by recycling only notes that are in good condition. Faster speed allows tellers to process more transactions quickly; increasing productivity, and reducing customer wait times. Rather than sending counted currency immediately to a cassette, the RBU-11 escrow function holds currency until the transaction is concluded. If the customer cancels the transaction or a recount is required, the original notes are returned to the teller. Ours is the only system to offer a physical escrow which guarantees the customer’s actual bills are available for return. Your tellers won’t have to leave their teller system screen to withdraw or deposit bills into the RBU-11. We will interface to your teller platform regardless of whether it’s a thick or a thin client setting.